The company reportedly knew Bill O'Reilly had recently settled in a harassment case when it gave him a $7 million raise. 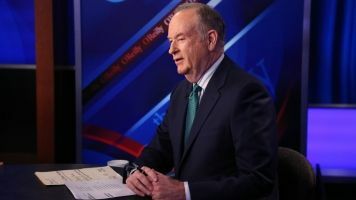 Fox News knew former host Bill O'Reilly had just reached a settlement over sexual harassment allegations when it decided to renew his contract for an additional $7 million. In January, O'Reilly paid a former Fox News analyst $32 million to settle allegations of repeated harassment, including the sending of sexually explicit material and a "nonconsensual sexual relationship." That's according to a New York Times report published Saturday. O'Reilly left Fox News in April after a different Times investigation uncovered settlements with five women who had accused him of misconduct. They were reportedly paid a combined total of about $13 million in exchange for their silence. A sexual harassment lawyer told the Los Angeles Times the $32 million payout is "tantamount to a class-action suit." Fox News' parent company, 21st Century Fox, says it knew about the settlement, but not how much it was worth. But knowing about the settlement and still deciding to renew O'Reilly's contract isn't helping the company's attempts to clean up its image. Others with the network have left under similar circumstances: CEO Roger Ailes resigned just months before O'Reilly amid mounting sexual harassment allegations. And 21st Century Fox said O'Reilly's most recent contract contained a clause that allowed the company to fire him if more allegations came to light. The company is also reportedly under federal investigation for potentially misleading investors about payments related to sexual harassment cases, among other things. O'Reilly denies all allegations of wrongdoing.